Divorce process following green card marriage. 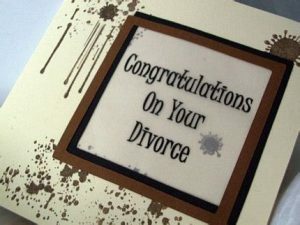 Home Divorces Divorce process following green card marriage. Is where short cut for divorce process for a divorce after green card marriage? Summary Dissolution can be considered as alternative for usual . Usual process of divorce could be complicated and costly. People hope for a happy marriage, no matter how unusual the circumstances of their meeting are. There is no mystery that international marriages (informally called “green card marriages”) have a double purpose – the main purpose is, of course, to build a healthy family relationship and the secondary purpose is to become a permanent USA resident. If the marital relationship eventually does not succeeded and a couple decides to terminate the marriage, they come to our legal document assistant (LDA) office asking to help with divorce documents. Usually, the most efficient way to go is to file a ” summary dissolution” instead of a regular divorce. The Judicial Council of California has a booklet detailing a summary dissolution, including instructions and the joint petition for dissolution requires that each party attest that they have read and understood the Summary Dissolution Information booklet (Form FL-810). This booklet and all forms can be found on the California Courts website. Your Eligibility for Naturalization might be effected by divorce after green card. If you are applying for US Citizenship on the basis of marriage to a U.S. citizen for three years, your time line for application will be longer than three years. Click here to see the requirements for application.